When reading the news about Israel, one is bound to come across a story about Rabbi Yehuda Glick. 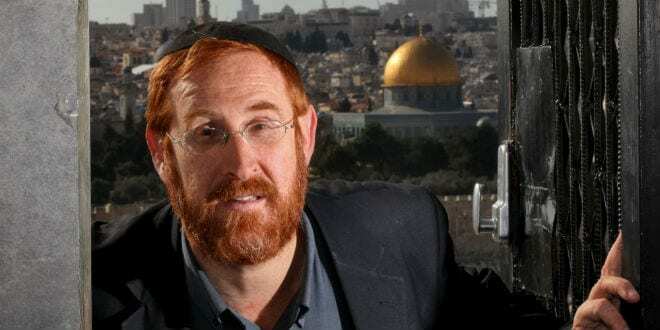 Perhaps best known for the assassination attempt on his life last year, what Glick is more proud of is his political activism on behalf of allowing universal access and prayer on the Temple Mount in Jerusalem. Born in Brooklyn, New York, Glick’s family moved to Israel when he was just 9-years-old. He now serves as the leader of HaLiba (“The Heart”), a coalition of groups dedicated to “reaching complete and comprehensive freedom and civil rights for Jews on the Temple Mount,” and is the founder of the Temple Mount Heritage Foundation. Glick was awarded the 2015 Moskowitz Prize for Zionism for being “active for human rights and religious freedom on Jerusalem’s Temple Mount.” As a Root Source teacher, he shares insights about the Holy Temple, including its history and the scriptural basis for building a Third Temple. Breaking Israel News sat down with the man who the Israeli police labeled as “the most dangerous man in the Middle East” for a short interview. BIN: When you were being treated after the shooting, you noted that you received excellent care from both Arab and Jewish medical staff. Do you believe that there can be such coexistence in Israel? Glick: All nations are supposed to co-exist and be involved in dialogue. I can only hope towards a future when Arabs and Jews work together for the betterment of humankind. BIN: In your opinion, how should the situation on Temple Mount, where no one but Muslims are permitted to pray, be handled? Specifically, we have seen the scary videos of Muslims, often women, verbally attacking and surrounding Jews who enter the Mount and Jews getting arrested for even moving their lips on the Mount. How can this be stopped? Glick: The Israeli Supreme Court has ruled no less than 19 times that Jews are permitted to pray on Temple Mount. Unfortunately, the police use a loophole that if they feel that an activity will lead to violence, they can stop the activity. Prayer, apparently, is seen as possible leading to trouble on the Mount and therefore, the police tend to blame and arrest the victims of crimes instead of the criminals.This is a crazy way of handling the situation and must be turned around. BIN: What do you feel the roll of our Christian advocates should be concerning the Temple Mount? Rabbi Glick: We need to unite to get the Temple Mount opened to all people and all forms of prayer. Everyone needs to express a zero tolerance for violence on the holiest place on earth. The more people visit the Mount, the more we will strengthen its importance for all people. We need to push public opinion that the Temple Mount needs to be accessible to all. The Temple Mount Heritage Foundation uses its donations towards this goal. People should write letters to their government representatives and demand that Israel allow prayer on the Temple Mount from all religions. 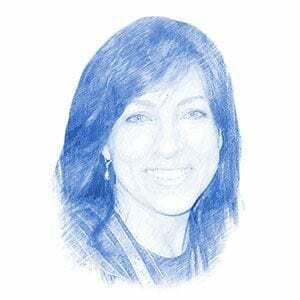 The Israeli government is very sensitive to world opinion and this will have an affect. Arabs will eventually learn to understand that we are united for the good. BIN: What would you say is the main goal of your work presently? Rabbi Glick: I hope that the Temple Mount will soon be opened for prayer to Jews and Christians alike. As it says in Isaiah 2:2-3, ‘The mountain of the house of the LORD Will be established as the chief of the mountains, And will be raised above the hills; And all the nations will stream to it. For the law will go forth from Zion And the word of the LORD from Jerusalem.’ The greatest praise of God is to have people praying on Temple Mount. Today, even a Christian cannot bring a Bible to Temple Mount!